Cache Creek is part of the Wild and Scenic California watersystem. It is one of the major rivers in Yolo county, flowing southeast from Clear Lake through BLM land and then along Hwy 16. The wilderness area has both the second largest population of bald eagles and tule elk in California. Who should go: Novices looking to navigate their own raft, beginning kayakers, tubers. Experts only at high flows. There are two main sections of Cache Creek, the Wilderness Run and the Rumsey Run. Both have a few rapids, but the Wilderness stretch has a Class III rapid. 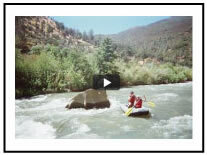 Read more about Cache Creek Whitewater. Runnable from very low flows (400 cfs) to fairly high flows (4000 cfs), Cache Creek is navigable by raft or kayak throughout most of California’s rainy season. Learn more about Cache Creek Flows. Permits aren’t necessary to raft or kayak on Cache Creek. 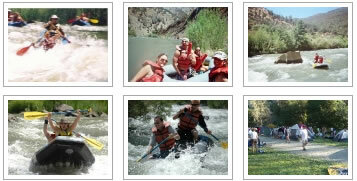 Many people opt to go through on of the rafting companies because boats, lunch, shuttles, and a safety rescuer are provided. Keep reading about Cache Creek Logistics. Watch a Cache Creek video before you see it up close.